Star Cineplex will be closed on April 30. 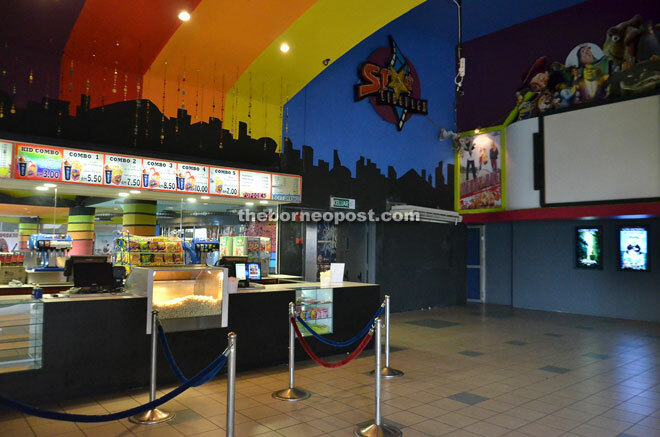 KUCHING: Star Cineplex here which has been operating for 19 years will close on April 30. Established in 1997, the cineplex opened its branches at main towns and cities like Miri, Sibu, Bintulu, Sandakan and several places in Sabah. Under prevailing conditions, some branches are closed except cinemas in Sibu, Bintulu and Sandakan. The owner Wong Tiong Hook said the hike of rental, GST, different demands and stiff competition from many giant cinemas are some of the factors for him to end the business. Wong said the cinema had provided entertainment for many movie lovers in the past and from now onrewards, it wants to promote educational films to educate the younger generation on life values. Schools and others interested to organise activities to promote educational films can call 016-8880770.